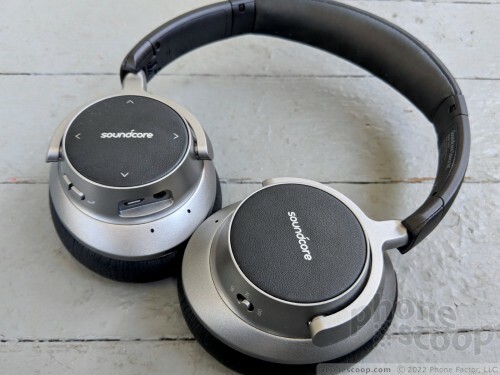 Soundcore's Space NC over-the-ear Bluetooth headphones offer noise cancellation on a budget. If you're interested in listening to your favorite tunes in relative peace, the Space NC get the job done at a fraction of the cost of leading brands. Find out how these affordable cans compare to high-end headphones in Phone Scoop’s in-depth review. Once limited to pricey Bose cans, noise cancellation (NC) is now found on a whole wave of new headphones. Over-the-ear cans such as the Space NC already block out some ambient sound by forming a seal around your ear. Toss in sound-busting algorithmic NC and you can effectively mute the outside world while you enjoy your latest playlist. 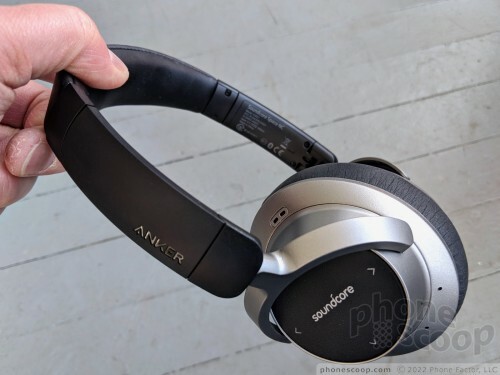 The Space NC fall under Anker's refreshed Soundcore brand. They are an inexpensive way to get your NC on. The Space NC are rather conservative as far as appearance and features. The Space NC could easily get lost in the shuffle at your local electronics store. They don't come in any fancy colors, just silver-on-black. A black band connects the two ear cups, which are mostly silver. The top of the black band is covered with a faux leather material and padded where it rests on your head. Plastic stalks run down the sides. The adjustable stalks each have about 1.5 inches of travel so you can find the proper fit over your noggin. The headband feels very strong and well-made. You can twist and bend it without it snapping. The ear cups are double-hinged. One hinge allows you to fold the cups up, while a second allows the cups to swivel from side to side. This means the cups will find just the right angle to sit snugly against your head. The cups have faux black leather wrapped around memory foam to cover your ears. I found them comfortable to wear for hours on end. Over-the-ear headphones can suffocate your ears sometimes, but that wasn't the case with the Space NC. They completely covered my ears and did so without pinching my head or otherwise causing skull fatigue. The ear cups are made of middling plastics. They don't feel cheap, per se, but they don't feel premium, either. I wish they felt a little more substantial. 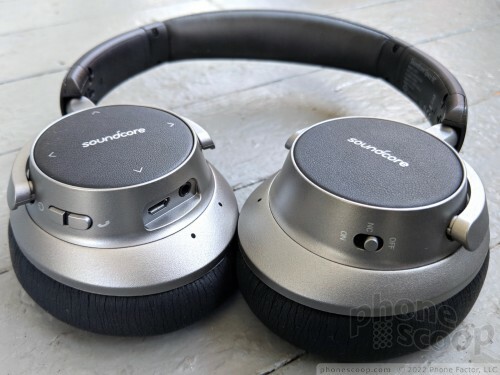 Soundcore placed the hardware controls where they're easy to find and use. A single switch is positioned on the bottom of the left ear cup. It turns the NC feature on and off. Similarly, a single button is located on the bottom of the right cup. This toggle has two halves: one controls power and the other answers/ends calls. As far as hardware buttons are concerned, this control works well enough. Travel and feedback of the toggle are good. 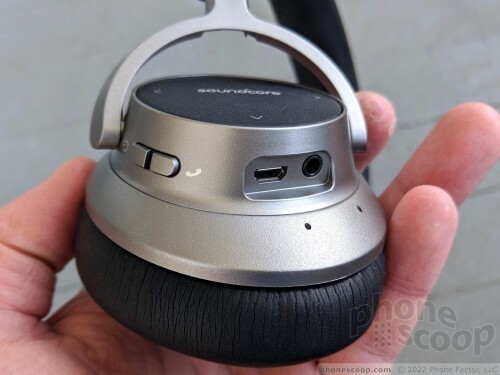 You'll also find a 3.5mm jack and microUSB port on the right earcup. The 3.5mm jack is for wired listening if the battery is kaput, while the microUSB port is for charging. An LED light next to the USB port lets you know the charging status. Cables for both are included with the headphones. 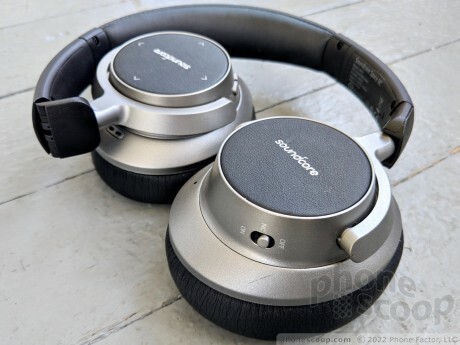 Playback controls are managed via the side surface of the right earcup. Like many headphones these days, the Space NC offer a capacitive surface with support for touch gestures. Swiping up or down on the side of the cup controls the volume, just as swiping forward or backward controls tracks. Tap to pause/resume. It's easy to master. I like that the Space NC ship with a hardshell case. The case keeps them safe and protected when traveling. The case is a bit bulky, but it's also a nice way to ensure you always have the cables with you while also preventing the headphones from getting crushed in your bag. The Space NC have Bluetooth 4.1 aboard with basic support for the A2DP profile for stereo music playback. I didn't run into any issues pairing and using the headphones to several different phones. 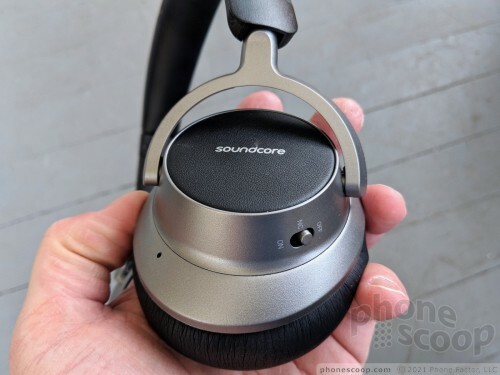 Soundcore says the Space NC have a range of 12m, or 39ft. In my experience, the Space NC easily maintained a connection over that distance and sometimes just a few feet more. The connection got shaky at the 40-foot mark and dropped entirely at about 41 or 42 feet. I hardly experienced any connectivity-related playback blips when testing the headphones. The Space NC ear cups have 40mm drivers with a frequency range of 16 Hz to 20,000 Hz. I listened to the Space NC through numerous apps and phones and found they took some getting used to. Straight out of the box, the Space NC are tuned a bit too much toward the bass end of the spectrum. While bass was tight and punchy, mids and highs fell a bit flat. R&B and electronic music shined via the Space NC, but I was not impressed with the sound of rock or metal. Acoustic and vocal performances had a warm sound that at times came across as overly compressed. There is no app from Soundcore to tune the Space NC, so you'll have to adjust the sound on your phone. For whatever reason, the iPhone X and iTunes Music delivered the worst experience via the Space NC. The iPhone and iTunes are the least flexible as far as adjusting the sound is concerned. I had better luck using Spotify and Google Play Music on Android devices because they offer more latitude over the EQ and other playback parameters. 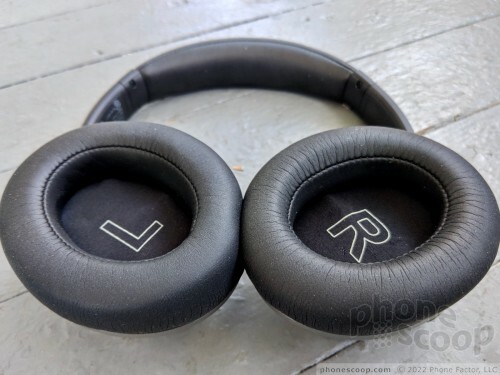 That said, even high-end phones that include their own music playback controls, such as the LG G7, didn't impact the sound of the Space NC as much as I'd hoped. Bottom line: the Space NC sound good for some, but not all, music styles. The noise cancellation works very well. Turning the NC on creates a distinct buffer between you and the outside world. It doesn't silence everything, but it gets rid of low-frequency annoyances such as bus engine noise, gas-powered leaf blowers, and other machines. The headphones don't support advanced features such as ambient sound passthrough, or automatic play/pause when you remove them. Taking calls through the Space NC is fine. The headphones include multiple microphones to cancel out background noise, leaving you with clean conversations that sound warm and present. 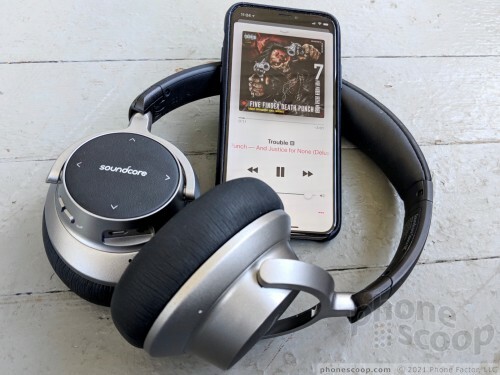 Soundcore makes some bold claims about battery life. The Space NC will run about 20 hours with Bluetooth and NC on. That's respectable, and only a little less than what some top-of-the-line noise cancelling headphones offer. If you want NC, but don't mind listening via the 3.5mm jack, you can score up to 50 hours of noise-free music playback. 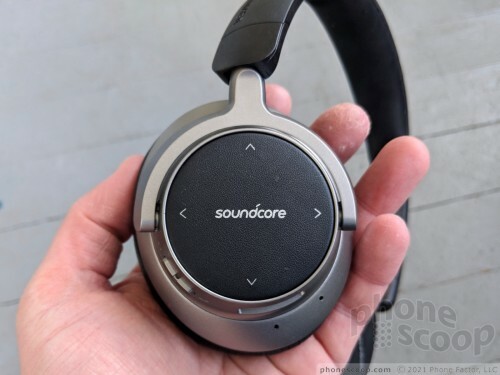 Throughout my testing, the Space NC consistently pushed through Soundcore's claimed 20-hours of battery life with noise cancellation on, give or take 20 minutes. It takes the headphones three hours to recharge fully when depleted. 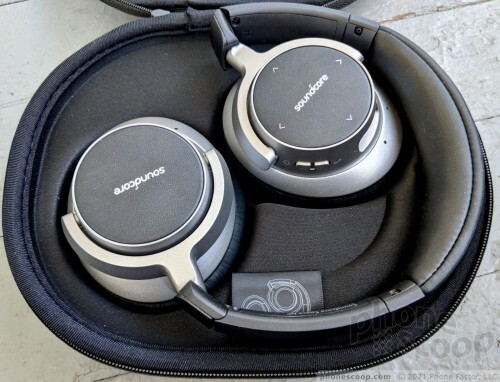 Soundcore has crafted a fine set of headphones in the Space NC. These affordable cans cover the basics and do a good job of it. The hardware is well-made and comfortable, and the controls are a cinch to use. Pairing and connecting to mobile devices is no sweat, and Bluetooth performance is on par with competing headphones. The sound they produce is decent, if not exactly tuned to my preferences. The price is perhaps the Space NC's best feature. The Space NC Bluetooth headphones with noise cancellation are available from Walmart for $99.99. They'll reach Amazon.com on or about June 7. In the over-the-ear, noise-cancelling Bluetooth headphone segment, there are few options below $200, let alone $100. The closest competitor I can find, in terms of price, costs $150. In order words, the Space NC are about the lowest-cost over-the-ear, noise-cancelling headphones on the market. That makes them a bargain. Toss in the solid all-around performance and you have a fine option for those on a budget. The FIIL IICON Bluetooth headphones offer active noise cancellation, incredible battery life, and over-the-ear comfort. If you're looking for an alternative to offerings from Bose and Beats, FIIL's latest cans are an excellent option for audiophiles. Sony's open-ear Bluetooth headphones promise to let you "stay in tune with the world" while keeping you informed with smart alerts when on the go. If you've got an ear for safety, the Xperia Ear Duo keep you in touch with your environment while you enjoy some tunes. Wicked Audio expanded its line of Bluetooth headphones this year to include the over-the-ear Enix. This inexpensive pair of cans skips advanced features in favor of focusing on the basics. Wicked Audio's Endo Bluetooth headphones are on-ear cans for those who don't need or want advanced features. This affordable headset is a no-frills offering that delivers basic Bluetooth performance for listening on the go. 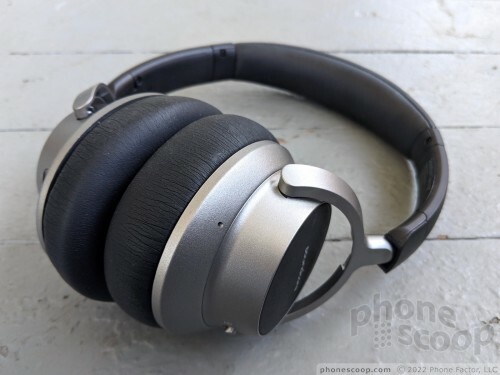 The Plantronics BackBeat Go 600 Bluetooth headphones are for those who want good sound without paying for fancy extras. These over-the-ear cans cover the basic performance points at a price that won't break the bank.